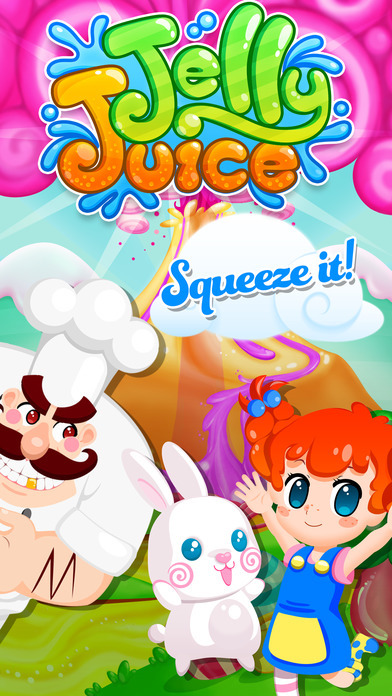 Home #CUTE Jelly Juice – Depart on a Jelly-Filled adventure! 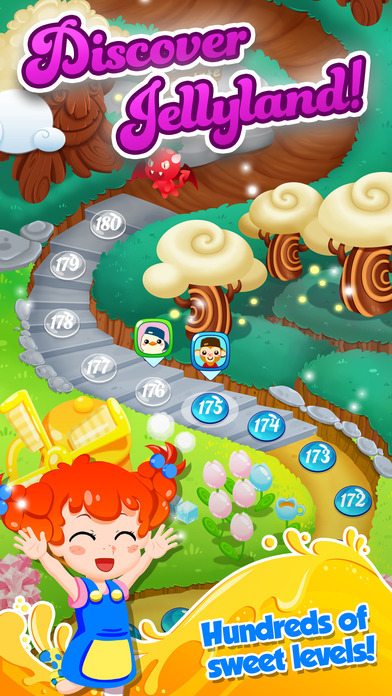 Jelly Juice – Depart on a Jelly-Filled adventure! Are you addicted to simple match 3 puzzle games? If you are a fan of this type of game, you probably already know – far too well – how easy it is to lose track of time while playing. …Until you eventually realize that you’ve played your entire weekend away…! 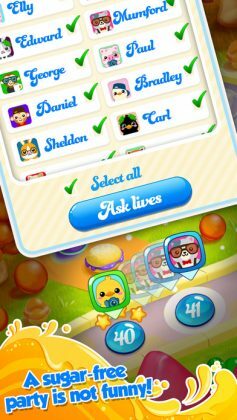 Jelly Juice is another match 3 puzzle game you’ll have a hard time putting down, even if you’re not a big fan of this type of game. 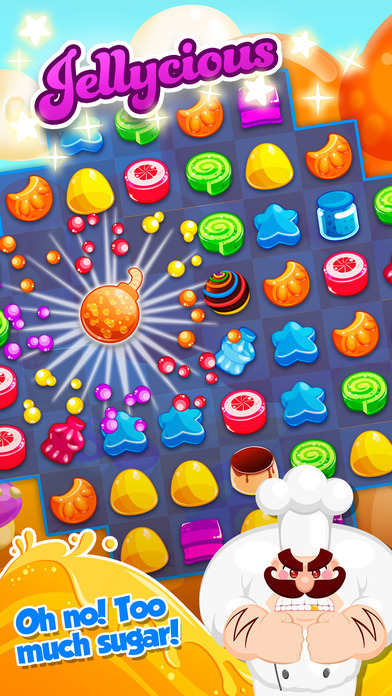 Just like the majority of other match 3 puzzle games, Jelly Juice is actually extremely complex(!) and has an abundance of functions you can take advantage of once you have a thorough understanding of the rules. 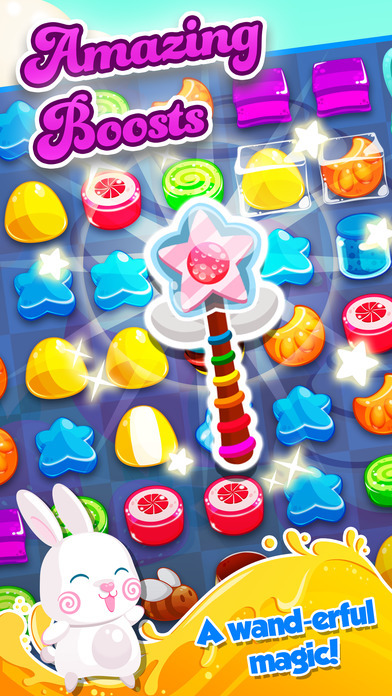 …and if you’re going to get addicted to a game, why not be addicted to a good one? 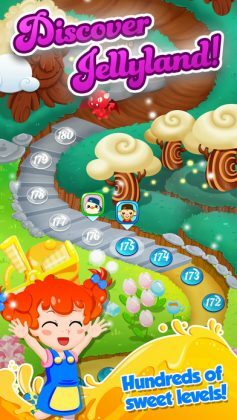 With beautiful high-end graphics, an extremely cute design, and a total of 1,000 levels to puzzle your way through so far, it will likely take you longer than a weekend to get to the end of this game. Whether you’re a long-time fan of match 3 puzzle games or have never really taken a liking to this type of game, Jelly Juice is a game we highly recommend you take a look at. Who knows? You may have just found your next favorite game!